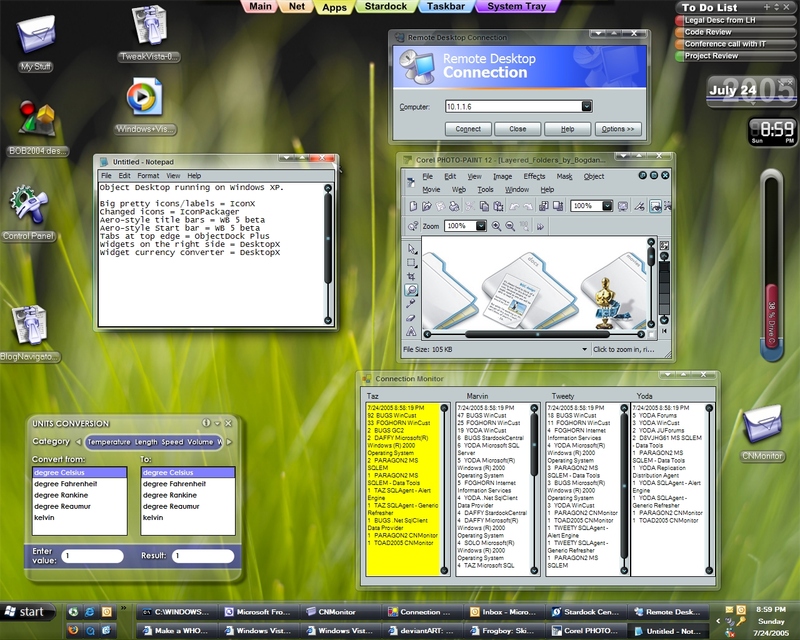 Another shot of WindowBlinds 5 (internal beta currently) running on Windows XP. It supports the Aero glass style look and feel to a large degree. I truly can't wait to see this on my Desktop. When will WB5 be ready?? And more important: how fast is the GUI with Glass-effects enabled? If anything, it looks better than the Real Vista interface. By the way, is the screenshot taken with WinFX on? WOW !!! when will it available?????????? I CANT WAIT!!!! NICE JOB GUYS!!!!!!!!! I will have to renew my subscription. I forgot to mention I WANT THIS RIGHT NOW!!!! lol. wasai,I can't get it at all! Why?? That is completely sweet! Any idea when it'll be out for subscribers? I'm sure transparent glass has to have a downside in practice... but soooo pretty in screenshots! Yes please. Bring on Blinds Version 5. Wow, Frogboy, these are truly exciting times for Stardock and its customers, Wincustomize and all its members. This new look for Windowblinds 5 is simply amazing and I'm impressed. Nope, it's Windows XP. You can tell because the toolbars are not semi-transparent, just the title bars and borders. Moreover, Vista can't do glass Start bars. Really sharp looking. Hurry up!